The church of St Mary in Cardington is situated to the east of the main Bedford Road, south of the A421 Bedford Southern Bypass. Parking is available on the roads around the church. 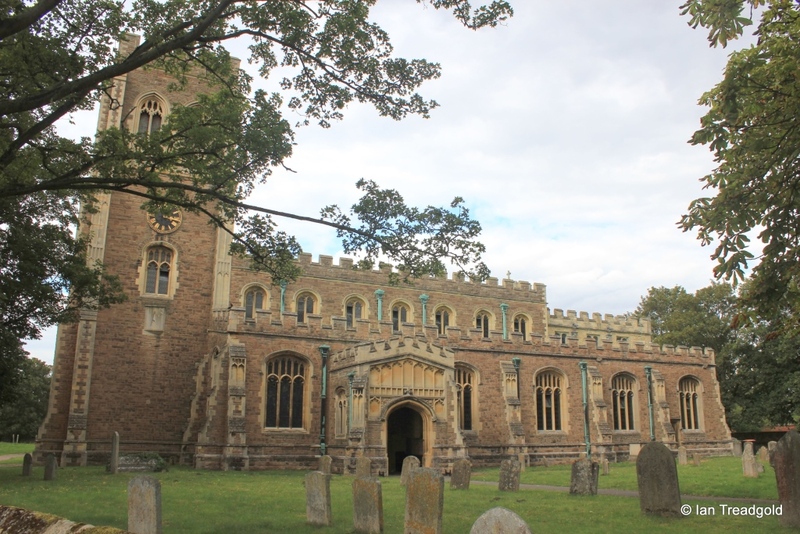 The architecture of St Mary’s is entirely modern in church architecture terms having been effectively rebuilt at the turn of the C20. 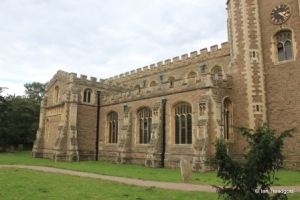 The original C12 church was of considerably different design to the current building. The most striking difference between the old and new is the location of the tower. In the original building this was centrally placed but was one of the primary causes of the rebuilding as it was in danger of collapsing. 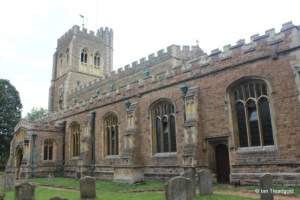 The rebuilding work was largely paid for by the Whitbread family and whilst some features of the old church were retained, the current building effectively dates from this rebuild between 1897 and 1902. 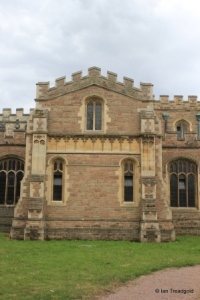 The current church consists of a chancel and nave with north and south aisles and chapels, a north transept, west tower and south porch. 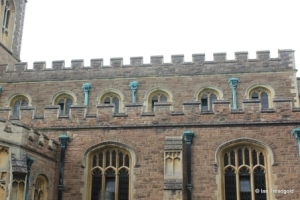 The parapets are embattled throughout. 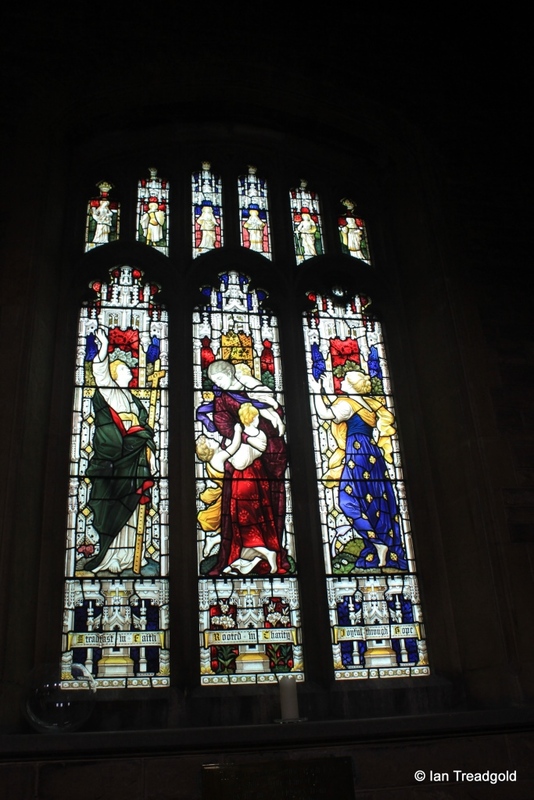 The south or Lady chapel has an east window and two windows on the south side. 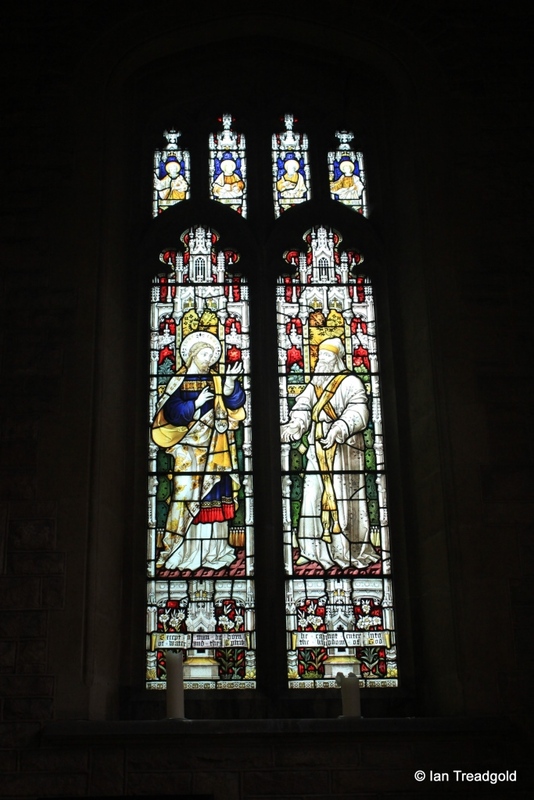 The south aisle has three windows, two to the east of the porch and one to the west. 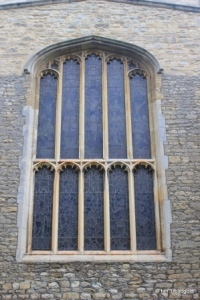 Not surprisingly in a modern church, all of these windows are of a similar style, being three-light cinquefoiled windows with perpendicular tracery in a four-centred arch. 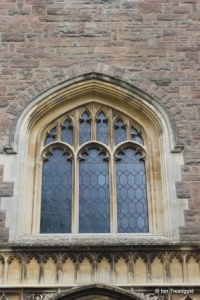 The arch in the east windows of the chapels is slightly more pointed than those of the aisles. 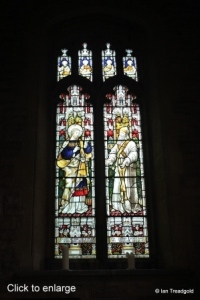 The clerestory windows are similar in design but of two-lights only. 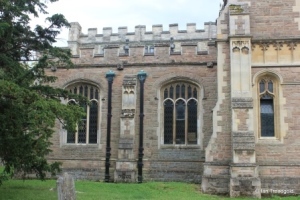 There are seven windows over the nave and three over the chancel. 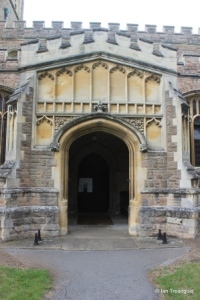 The south porch has the potential to be impressive if what has been left as a blank screen had been filled with carvings. 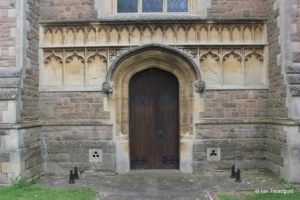 The four-centred doorway of the outer arch is floral carvings in the spandrels. 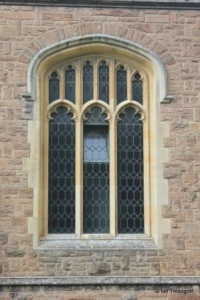 There are two two-light windows to the east and west of the porch of similar design to those in the aisle. 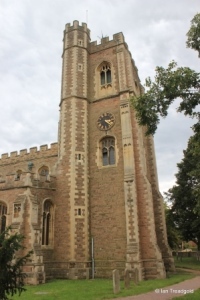 The west tower is of three levels with angle buttresses to the west. 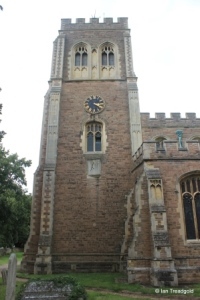 The south and north faces hold clock faces and to the south is a sundial. 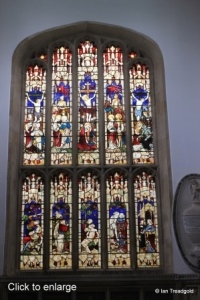 There are two-light windows on the middle level to the north, west and south and the belfry windows are a composite of two two-light windows with blank lights below and between. 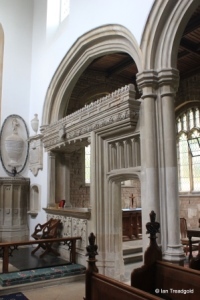 The west door is similar in design to the outer arch of the south porch and again would be impressive with carvings in the niches. 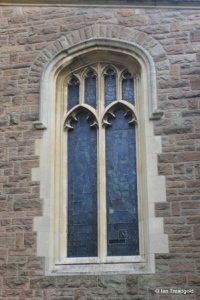 Above is a three light window in the usual style. 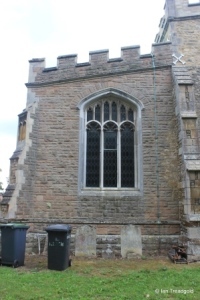 There is an octagonal stair turret in the north-east angle. 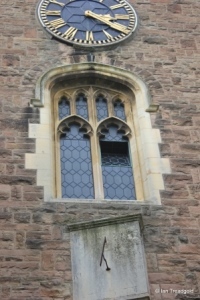 Surprisingly in such a modern building, this stair turret has been allowed to encroach on the west window of the north aisle. 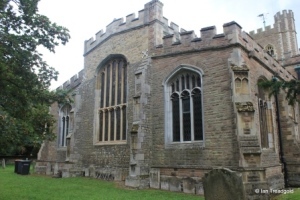 The north aisle has three three-light windows in the usual style. 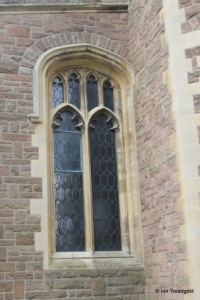 The transept has windows at two levels. 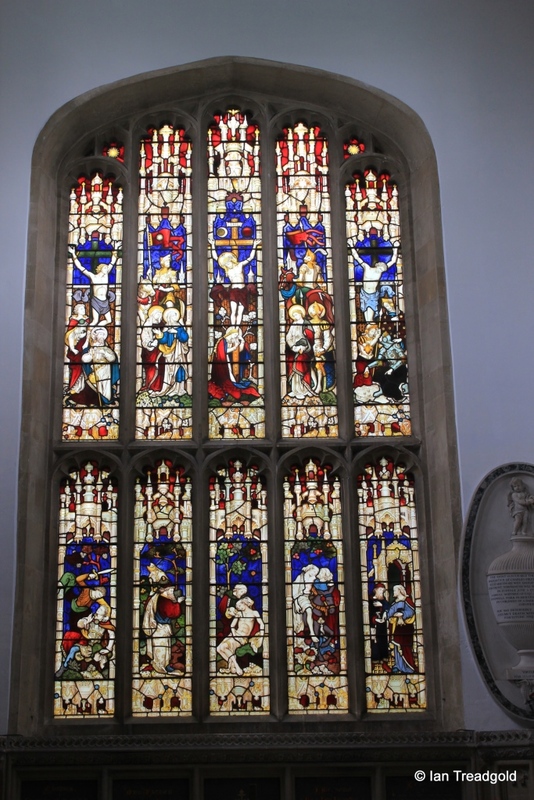 At clerestory level there are two-light windows to the west, north and east and on the north side there are two single-light windows. 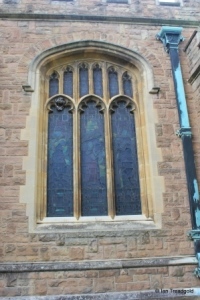 The north chapel has two three light windows to the north and the east window of the chapel matches that of the south chapel. 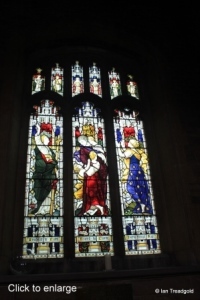 The east window is a five-light cinquefoiled window with a transom dividing it into two. 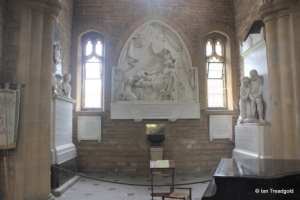 The north transept is home to monuments commemorating the lives of members of the Whitbread family. 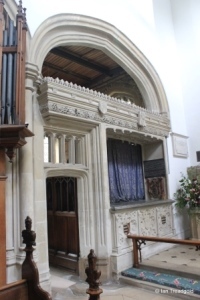 There are stone screens between the chancel and the south or Lady chapel and the north chapel which is now used as a vestry. 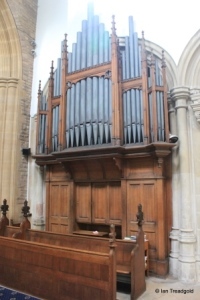 The organ occupies the western bay of the north side of the chancel. 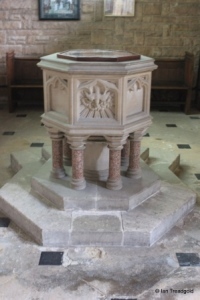 The modern font is at the west end of the south aisle. 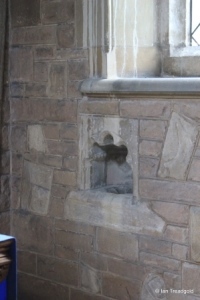 There is a piscina on the south wall of the Lady chapel. Page last changed 25/08/2014. Reformatted 20/12/2015.